Teaching AP Spanish, for me, is as much a reflection on teaching Spanish 1 as anything could be. A couple of years ago, I was teaching several sections of Spanish 1 in addition to levels 3 and AP. Before that year, I knew what I was supposed to teach in level 1 because I was striving to provide them with the best basis possible for moving up the pipeline and to be ready for college level Spanish. But bridging from level 1 to college seemed so nebulous for my students. In Spanish 1, many of them were freshmen, so thinking about college seemed like an experience too far away to even think about that kind of investment. But what does it look like when students are taking Spanish 3 or 4 and are going to be in AP next year? How could I build into my students this year so that they’re ready for the next year? What should my levels 3 and 4 students know before coming to AP? Overwhelmingly, they said that students need to be able to talk to someone else. Not translate. Not script. Not conjugate. Talk. This was satisfying to hear, as their teacher, because that’s my main goal, too–to get them to maintain a conversation. According to the ACTFL Proficiency Guidelines, that’s solidly Intermediate Mid. Besides, students aren’t going to be in a situation outside of class where they have to write out what they’re going to say first, have it corrected by a teacher, then read their script to the next person. Our classes must have authentic situations in order to prepare our students for success. For my AP classes, however, they asked me to push them to design tasks that would allow them to show how they would negotiate a problem or be able to narrate across time frames. Since the students had such specific requests on how they can push their own proficiency, that really drove me to dig in to what they would need to say in order to provide them the practice. I’ve heard teachers say before–and I have, too–that since we are often the only model for target language the students may get, then we need to make sure they have a good model and can learn the language correctly. While that is true, it is incumbent on us teachers to have our students do the heavy lifting in learning. 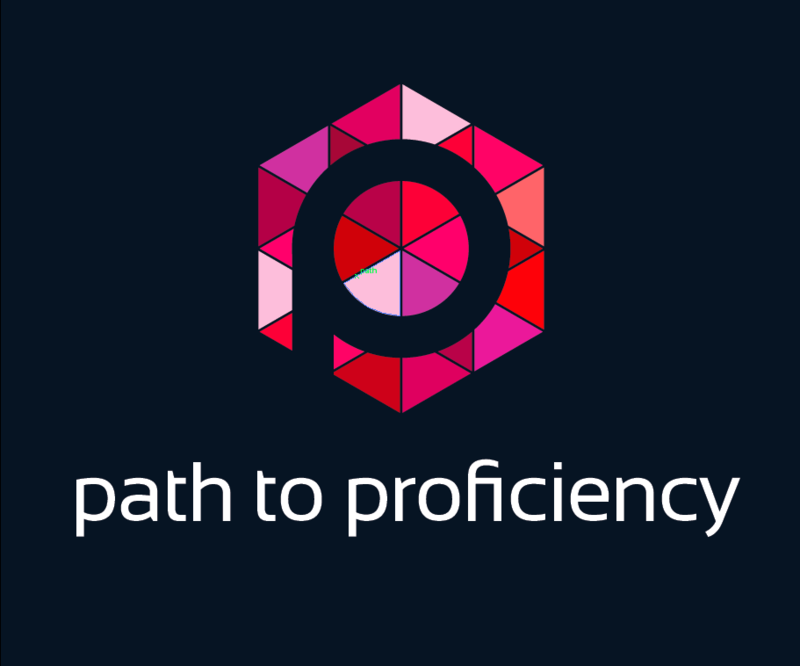 It is not enough for us to share with them the proficiency guidelines; we must show them. And to take it a step further, we must not leave it at showing them how to grow, but teach them the strategies of the targeted objective and let them stretch and grow under our tutelage. It is not enough anymore to say that students in levels 1-4 must learn a bunch of loosely connected topics then really bare down when it comes to AP. Advanced Placement classes shouldn’t even be seen as the culmination of language study; rather they form a bridge between the classroom and college or career. The skills students learn in levels 1-4 about spontaneously having a conversation, about reading and talking about an article, about listening to an interview then writing a persuasive essay–these are all skills that are needed for students to be productive and proficient communicators. So why are teachers waiting until levels 3, 4 or even AP to teach them? Teaching for proficiency gets us out of our comfort zone of vocabulary quizzes and fill-in-the-blank conjugation drills. It moves us beyond writing skits and memorizing speeches. It pushes us to do more than watch movies about the target language culture; our students can create movies in the target language. We didn’t become teachers to be complacent workers; we joined the ranks of educators to innovate and help shape the future generation because we recognized something inside ourselves that we wanted to impart. We know what lies ahead for our students, so it is incumbent on us to prepare them for what is on the other side of our classroom door. If you want honest feedback about what students need, ask them; they will definitely tell you and challenge you to let go of some hard and fast beliefs about how skills match up with standards. They will push us to continue to strive for what is best in order for our students to grow beyond a recognition of the language parts to being able to use the language in a proficient way. If we can get Spanish 1 students to buy into the idea that they are starting a life-long journey in language, then everything from the first moment becomes useful and important. What we’re really asking them to do, at least on the presentational side, is to write a sort of first-person narrative that lasts for many years, (“Mi historia” if you will) and yes, that should happen starting on day 1 of Spanish 1. Thanks for reminding me that it all begins and ends with each INDIVIDUAL student! I agree with what you said and feel that so many times, the different levels are not connected enough and don’t build on one another. I also think that a downfall at many schools (ours included) is that many teachers get comfortable -and quite good- at teaching a certain level and teach this level for many years. In doing this, we lose touch with where students come from and where they go after they leave our classroom. I feel like every teacher should teach every level (including AP), rather than their ‘specialty level’. Now, I’m not suggesting switching every year, but switch every few years or switching at least one of levels every so often. I, personally, don’t like to teach the same level over and over. I love level 1 (how could I not: students come in with no language ability and leave knowing so much), but frankly, I don’t want to teach it every year! I am very excited to teach level 2 next year – for the first time in several years! I also think that by building a continuum throughout the levels, we will get more buy-in from students because they will see that going from Intermediate Low to Intermediate Mid is not rocket science and it is an attainable goal. Thank you so much for your post. It’s so good to read about other teacher’s experiences.